A major announcement was going around the search engine world last week and it could have a gigantic impact on how customers are finding your business on Google. 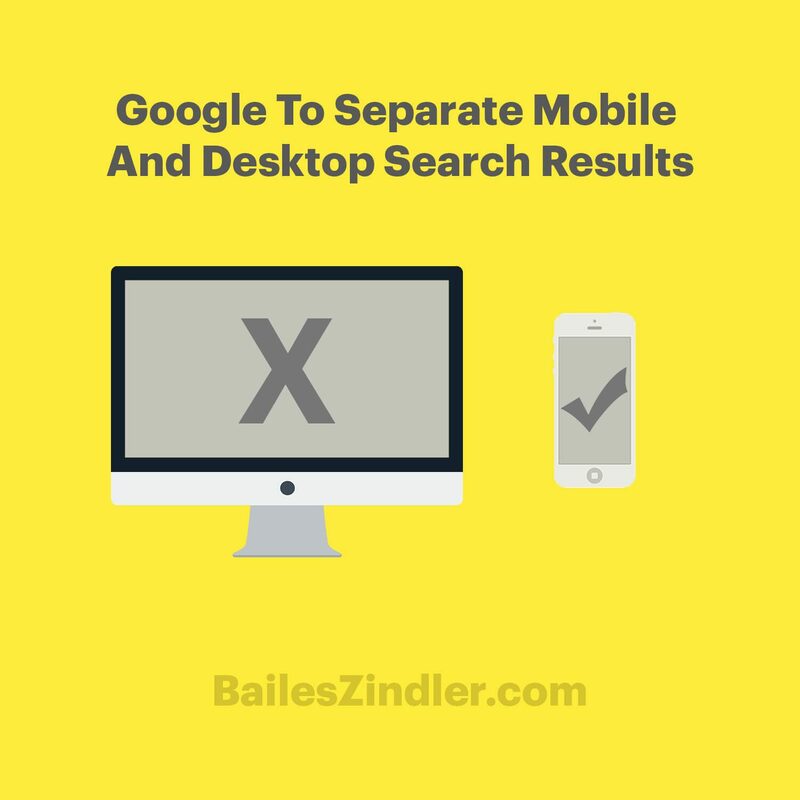 At PubCon last week, Gary Illyes, webmaster trends analyst at Google mentioned that the company will be separating mobile search results from desktop search results. Yes, you heard that right. In a continued effort toward a completely mobile web, Google will not only be separating its mobile and desktop results, but it may also update its mobile results much faster and even prioritize these results over its desktop results; and this could be taking place in only a few short months. This week, I want to explain this in more detail, and hopefully shed some light on what this could mean for a small business, so that you can make an informed decision for your own organization. The two pieces of data I’d like to point out from above are that half of all Google searches are coming from mobile and that 89% of all US mobile organic searches come from Google. This should be extremely important to a small business’ mobile web presence. If a potential customer is on the go and needs information about your organization, you must be able to deliver the information that customer needs in the fastest and most user-friendly way possible. How Will Google’s Latest Announcement Affect Your Business? Since it appears that Google will not only be separating its mobile search results, but also prioritizing and indexing them faster, one can only assume that not having a mobile-friendly website will be a huge detriment to an organization’s success online. Simply put, your website might not show up in search results when using a smartphone. This alone should make any small business owner panic if they don’t have a mobile-friendly site. As the title states, the best way to make sure you’re in the clear is to have a responsive site, or a mobile version of your website at the very least. If you don’t know if your site is mobile-friendly or not, head over to the Google Mobile-Friendly Test site to find out. Will the search results really not be used on desktop? Will there only be “mobile-friendly” content? Just how “out-of-date” will the desktop results be? As always, Bailes + Zindler will keep up-to-date with the latest SEO news, tips, and advice in the digital world. If your business needs information on how to optimize its site, give us a call.